Some people turn to me and say with a serious face that times are dark and quite hopeless. Wherever you look on our globe, you see aggressive people ruling countries, old conflicts breaking out again, mass-shootings in schools and churches, men in politics, media, clerical institutions and – well basically everywhere – found guilty of sexual harassment and abuse. Being harsh, loud and careless is seen as a sign for self-confidence and prerequisites for economic success and peer recognition. The white man over 50 is still in power and barks his orders and commands via 280 characters into the world. 280 characters don’t allow much space for deep conversations, emotions or reflections. Whoever doesn’t fit this old-new picture is marginalised: gay, black, a cry-baby, a softy. Man-up. Don’t be such a girl. Yesterday’s old fashion is the new. Joel Salatin, an American farmer, lecturer and author, said this, not me. I don’t expect you to get shot, to kill No. 45 or to start a world revolution. And, yes, we all need jobs to pay our bills. But, hey, you can choose your place of work and not sell yourself to evil Nestlé. And there are many other choices YOU can make: voting, telling the world what you think, buying/not buying, doing your own research, questioning authorities… the list could go on. You’re much bigger and more important than you think. Use this power. The world seems darker than… well, since when actually? Are we really facing a new dark age or is it just Rupert Murdoch and his golfer friends who vomit their manufactured realities into our faces – 24/7 and worldwide? I don’t think we’re doomed. Yes, there are countless challenges waiting for us to be solved through amazing solutions. I don’t have all the answers right now but there is plenty of hope that humankind will find its balance with nature and Mother Earth. I believe in a future of peace, equality and solidarity. We’re the generation of transition. Transition from the old world, the world of war, aggression and ego, into a new world of empathy, kindness and care. You and I were probably not parented in the most peaceful way. That’s how it was. I imagine our parents tried their best, but they came from a generation with even more violence, bribes and punishments. And they had far less research and help available than nowadays. No blaming, no shaming from me – just reflecting and thinking how we can improve. We – our generation – have the ultimate chance to get it right. We can change current moods around, we can help our children to find the answers and solutions, to equip them with skills in becoming humans in the full meaning of that word . Yes, we have to work damn hard to get there, set-backs and disappointments included. Good parenting, I believe, is here and now the most important job to set a strong foundation for tomorrow’s life. Gentle, peaceful parenting is the way: respecting our offspring from the moment they enter life. Whatever your children do, stay connected. Be the best role model you can possibly be – the way YOU treat your kids, your partner, friends, neighbours and other people will have a great impact on how your children will see their world and learn life and social skills. Speak with respect, listen without judging, see the possibilities and support their dreams – regardless of gender or age. Help, show kindness and care wherever you can. Switch off violent and negative news (or at least reduce your intake on news). Be authentic, be human. Apologise and hug. Love and cry. Plant trees, run through the woods, paint rainbows, buy some organic veggies from your local shop and dance salsa – do whatever brings happiness to you and your children. Open your heart and mind. We have choices. We have skills. We have voices. We are not alone. Let’s start. Let’s unlock the chains. We hold the keys in our hands. Categories: Parenting and Empathic Fathers, Society | Tags: apologise to your child, empathic fathers, gentle parenting, peaceful future, peaceful parenting, Torsten Klaus | Permalink. Over the last few days my two sons, 9 and 6 years old, were fighting with each other – and I don’t mean the kind of normal arguments between siblings. Shouting, screaming, banging doors, accusing, teasing and also physical aggression between them became their way of communicating. My wife and I tried a lot: we spent more time than usual with them individually. We talked, negotiated, guided, listened and supported whenever possible. Nothing seemed to work. The fighting got worse – to the point that they would really physically hurt each other. You know how painful it is to watch that? Yesterday morning I called for a family meeting to tackle the issues. We all sat down in a circle. I guess my boys expected from their parents a lecture about their behaviour. So they sat with little interest and the typical let’s-finish-this-quickly-facial-expression in front of us. But I didn’t meet their expectations. After our words-of-appreciation warm-up we talked long and intensely about the events of the last days. We reflected, listened and connected. We brought some issues to the light, but it wasn’t easy at all and in between I felt that we’re not getting close to a solution. Well, not yet. Before we finished the meeting I asked both my boys if they could think of three actions they would do in favour for their brother. Three kind actions a day, at least. It could be anything: kind words, an invitation to a game, reading a story to the other one… something to bring joy. My suggestion didn’t go down that easily, unfortunately. I didn’t want it to be a burden for them either. So, I left the topic unfinished. With a more or less heavy heart we carried on with our daily routine. But what I noticed shortly after the meeting was a change. My sons spent their day together with a lot of playing, supporting each other (like in the old days) and laughing. Whenever I could I joined their fun and listened to their adventures. In the evening, on the sofa, I talked to my eldest again. He was asking about my suggestion from the morning. At first he seemed skeptical and discouraged. Why should he do three (!!!) things for his brother? That annoying, irritating brother! Hey, boy, your brother is awesome. You feel irritated or annoyed? Those are YOUR feelings, your thoughts and it got nothing to do with him. He tries his very best as you do. As we all do. “Really? ?” – can I read in his face. Really! After a long talk about kindness, brotherhood and love, he turned to me and said: “Papa, tomorrow I’ll try that. I’ll see whether I can do one thing, or even more, for my brother!” What a great and warm promise. Even if you don’t get there my son, you are willing to try. And you know what? Today I didn’t say anything. I just watched. I just listened. I was present. And they both took care of each other, and their little sister, that my heart melted. I saw kindness, I felt the bonding and I could hear the fire of excitement. So much love. So much connection. Thank you boys! Categories: Parenting and Empathic Fathers | Permalink. 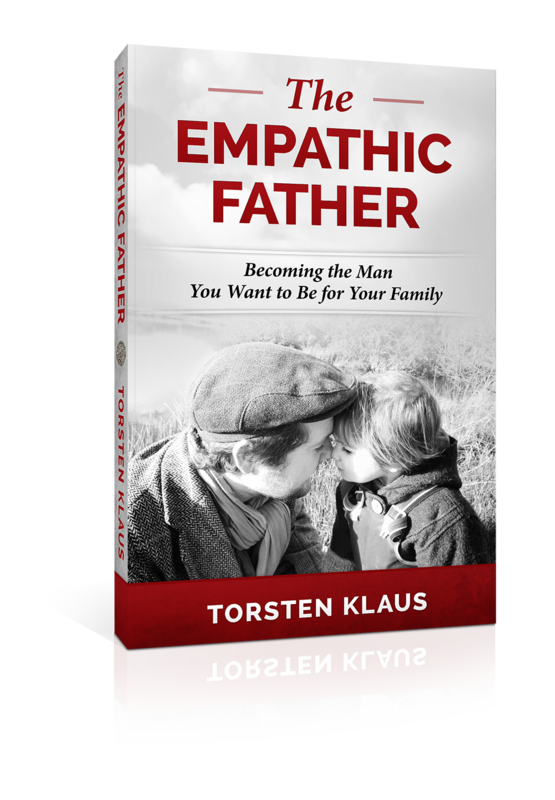 Categories: Parenting and Empathic Fathers | Tags: clean bedrooms, gentle parenting, kids help cleaning, Torsten Klaus | Permalink. Whether it’s shaming, shouting, bribing, ignoring, threatening, over-powering, punishing, hitting, or spanking. The list of disrespectful behaviour towards our children is long and miserable. Easily parents and other adults find a good reason why a child deserves a little smack, some time-out on the naughty step to get him thinking, or the taking-away of treats and rights. Because the child misbehaved, didn’t co-operate or just didn’t listen – to cut it short: ‘the child was naughty’. As a parent of three young children I can relate to stressful situations. This afternoon we wanted to go to a playgroup, the car was in the garage and we had to take the bus, which only goes every hour. My children took ages to find their shoes, coats, a favourite cuddly toy, a snack, and so on. For twenty minutes I had been running around, calling and reminding them. With rolling eyes, increased pulse rate and mumbling under my breath, I tried to help them. Then, finally, when I thought we really could make a move the youngest shouted ‘I need a wee’. In less than a minute we solved that problem (yes, we skipped washing hands due to time shortage), ran to the bus stop, arrived with our tongues hanging out, just to see the red rear lights of our bus driving off. The knock-on effect felt big: we missed the bus, the playgroup, seeing our friends and, of course, the post office, where a parcel is waiting for us, would be closed later on. My children wailed, complained and moaned. To make my situation worse it started raining. I could feel that big wave of annoyance and irritation rising inside me. Just an eye blink and I could explode. A tirade of shouting and swearing was about to be poured onto my kids: “Because you didn’t hurry up when I told you. Because you couldn’t find your shoes (and didn’t put them by the door in the first place after you used them last time). Because you needed a wee. Because… because, damn, it’s just your fault. That’s why we missed the bus, the playgroup, seeing our friends, the post office. And, on top of that, we’re dripping wet. I’m not taking you on the bus again. When we get home you can go to your bedroom and stay there for the rest of the day. Serves you right!” People passing by and seeing the scene would probably turn away feeling embarrassed or nod their heads in agreement with me. I did say, I could explode. And here’s my choice: I, the parent, can choose to control myself and respond differently than just described. Or I can blow. You see, situations like those do happen every day thousands of times – in our family homes, on playgrounds, in public places, yes, even in schools, kindergartens or playgroups. Adults’ overreactions towards children is a culturally accepted concept. Unfortunately. Would I shout, threaten or hit my neighbour, colleague or partner, I could end up – rightly – in court for assault. Doing the same stuff to my kid would come under the term ‘disciplining’. I’m showing him what’s right and wrong, I’m setting boundaries, I’m teaching her a lesson. Right? Bonkers. I’m not teaching, I’m not setting a boundary, I’m not changing any behaviour. Instead I’m threatening, over-powering, shaming and punishing. The lesson my child will learn here? Not to trust me. To be afraid of me and my responses. He will learn to supress certain feelings and try to manipulate himself and situations to avoid my hurting reactions. He will feel disconnected, unloved, unworthy, a bad person. Next time my child might shout back at me or (if that’s yet too scary) let it out on his sibling or a younger, equally helpless child. What we need to understand is the simple fact that our children are not naughty. Their plan is not to annoy or irritate us. They are doing the best they can, with their current ability. We need to understand that we are their models. They will copy us and our behaviour. If we show disrespect towards them, then we shouldn’t be surprised at all if this disrespect comes back like a boomerang. But if we choose to show understanding, empathy and unconditional love, then we will see co-operation, reassurance and trust. Not in every situation, but overall. The most important thing one can hope for in parenting is to establish a loving relationship with one’s child – this goes above everything else. In every moment of the day ask yourself: is this actually connecting us further or disconnecting us? If you think, e.g. table manners is a must, then ask yourself: at what price am I trying to force my ideas on my child here? (Doesn’t mean that your ideas are wrong, just that your way of achieving your goal might not be right at this moment in time). Deeply rooted in our culture and society is an understanding that we can treat our children as we wish. Often this behaviour is just a response from our own upbringing. If we were hit or otherwise mistreated by our parents, then – even if we made that promise to try better than our parents – we are likely to repeat similar patterns. Because that’s what we’ve learned and copied many times. So, you misbehaved as a kid and your Mum took your ice cream away? There is a good chance that you punish your own child for not tidying his bedroom with a similar threat. We are repeating our stories, past wounds are still hurting our inner child. Often we watch ourselves act helplessly wondering why on earth we are behaving as we never wanted to. Pretty grim eh? The good news is you can change that. It is hard, as it is so ingrained in us, often we unconsciously choose to repeat this learned behaviour. Be patient and kind to yourself while in the process of ‘re-programing’ yourself. Take time to reflect on your thoughts and actions and rather than beating yourself up for failing to change your behaviour today, think about what will help you to avoid that stressful situation (in which you might overreact) next time. Any behaviour can be learned and un-learned. The second major problem of today’s society is TIME. Most of us feel under permanent pressure: family, work, children, household, money, bills, friends – and in between, dozens of digital gadgets to distract us. Our lives have become like a 24/7 non-stop show. Being ‘on call’ all the time shift priorities from the really important things – like our children and how we treat them – to less important gossip, comments or feedback on social media and the like. Take a look around you and observe parents and their children. It doesn’t matter whether it’s the playground, the bus stop or in a café: the grown-ups are glued to their screens while the kids entertain themselves. We need to change our life styles. We need to change the way we treat our children. We need to show respect, empathy and love. Now. Let’s go back to my example where the kids and I run to catch the bus. What could I, the parent, have done differently to avoid the whole situation in its first place? To put it simply, it’s all about time again. I could have started preparing for the outing earlier. I know my children need longer putting their shoes and clothes on. They can’t find their stuff? Well, I can help. My 8-year-old normally does his shoe laces by himself but he has days where he wants me to do it. Not because he’s lazy, because he’s looking for connection. It doesn’t hurt me to do it for him once in a while. OK, but even though we could still have missed the bus, right? Yes. And the news is, it has happened to me. Not only once. Still, I can decide whether to lose the plot and shout and blame – or to pause, breathe in and out, reflect and to offer a plan B. Missed the bus? I wonder what else we can do today as we won’t be able to meet with our friends? 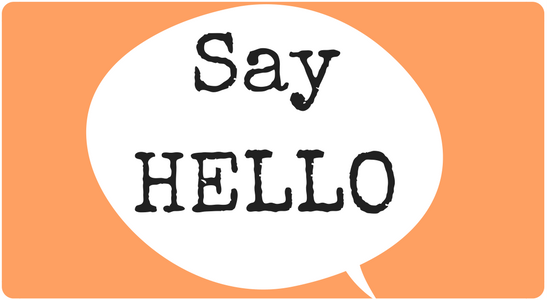 Shall we call some other friends and invite them to us for games? And, yes, the parcel at the post office can wait until tomorrow. It’s not the end of the world. – I appreciate that this needs training and practise. For me as well. Awareness starts with myself. I need to reflect on my own childhood and find out how my parents treated me. I’m not doing this to judge them. I’m doing this to learn and to see whether my responses are similar. I can write down my emotions and thoughts and discuss them with my partner, a friend or a specialist to overcome past issues. How do I talk to children? Am I polite? Do I sound threatening or too loud? Would I choose the same language with my partner, friends, colleagues, a stranger in the street? My kids deserve the same respect I am expecting from everyone else. I feel helpless, confused and angry in a tense moment. I acknowledge my feelings, take some deep breaths, if possible I leave the situation for a moment, or I communicate to my children that I need a short break. I take that time to reflect what other options are available. I sit down with my partner or a good friend and talk about my parenting and the challenges I face. I don’t expect anyone to fix my problems but someone who can listen to me and reflect with me. I am taking time for my children without any distractions. Phones, laptops and gadgets are turned off or not in the same room when I spend time with them. I apologise to my and other children. Yes, I make mistakes and I acknowledge that. Apologies are a good way to reconnect and to show authenticity. When I plan for an activity, outing, holiday etc. I’ll include my children’s thoughts. I’ll invite them so they can voice their needs and wishes. When I set a boundary, I’ll explain to my child why. E.g. to your 3-year-old: I need to hold your hand right now because it’s a busy road and we can’t run around. I can always make a quick assessment in my head: how much harm would be done if I ask x, y or z? E.g. the room is untidy but my child is absorbed by playing. Do I really need a tidy room now or could it wait for the moment? No bribes, threats, punishments, violence, shaming, ignoring – ever! Finally, I’m asking for one big thing. This one sounds very easy to be done but I know we as society have still a long way to go. We need to start treating children with equal respect and empathy as all other human beings. Let’s start today. Categories: Parenting and Empathic Fathers, Society | Tags: apologise to your child, attachment parenting, authentic dad, empathic fathers, gentle parenting, love and trust, peaceful parenting, Torsten Klaus, unconditional parenting | Permalink. “Sharp knives don’t belong into children’s hands”, “That’s not safe, let me do it”, “A kitchen is no place for kids” – sounds familiar to you? Well, that’s some stuff I had to cope with when growing up myself, and – bad enough that’s still the mantra for many parents or adults working with kids nowadays. I just recall some playgroup situations: the parents’ response when their two-year-old picks up a plastic knife (yes, the good ones for butchering play dough) to murder a cucumber at snack time. Eyes wide open, panic mode, shrill voice: “Ah sweetie, Mummy will hold that dangerous knife for you, don’t you think?”. A millisecond later – the object of mass destruction is safe in Mummy’s hand. All other parents exhale a sigh of relief. Clever omniscient grown-ups have created a fluffy, pink, bullet-proof world of health-and-safety where we all wear safety goggles to watch the wind and face masks to breathe nature. Because…, just in case…, because we’re rather safe than sorry…, because to make sure… because. Well, just take a moment and stop breathing – just to be safe! What has gone wrong here? Have we lost the very basic connection and trust in our children? Or, was there ever a time when we trusted them? Hmm… Let’s see. Just back in the 19th century children would have lots of responsibilities: cleaning, cooking, looking after their siblings, helping on the farm… and, yes, brutal hard labour in dark factories, ten or twelve hours a day… good that we left those times behind us (well, over here in the rich part of the world…). And, yes, many of those household chores were done by children because of living in large families or parents having to work twelve and more hours a day as well. When World War II was over, still many children played important roles in helping their families with household chores. You could argue that this happened because out of necessity or desperation. Indeed, that’s one reason. Another one was simply called trust. Trust and a strong bond between parents and their children. Only from the 1950’s onwards, something strangely has been happening in our society. Families started to spend less time together. The so-called classic family model, where dad leaves in the morning for his desk in an office while his wife stays home to look after house and kids, took over. That quite artificial construction became a bit of a relationship killer. While in the past fathers and their sons, as an example, would often work and spent time together (on the field, in their business…), now children missed their father for most of the time under the week. Mums got busy in their brand new kitchen with all the latest inventions and gadgets. Kids? Go to school or your bedroom. You see what else went on here? Skills. Not only relationships suffered, there’s a whole generation of lost skills. Cooking, working with tools, fixing and mending – you name it. Fixing something, why? Buy it new, it’s easier. Cooking? Get a ready meal. I still remember my parents’ pride when they bought the latest of modern cooking inventions in the mid 1990’s: a shiny, adorable, handsome, easy-to-use microwave! Plus 200 packs of ready-to-microwave food. Yuck! I can still sense the aftertaste. They probably spend two or three weekends in deciding which microwave to buy… I wished they had taken one afternoon to teach me the basics of cooking. You know, I’m not the least surprised that today three-quarters of children in the UK have no idea how to boil an egg, or that 30% have never chopped veggies. I probably was 18 or so when I found out that kitchen knives have more purposes than just hanging on the magnetic knife holder. And another five or so years to get serious about cooking. Starting to trust our children is the very foundation of a well-connected relationship. Children (and, indeed us adults too) learn by trying. They give it a go. They might fail, they might succeed. It doesn’t matter, as long as we provide a bit of a safety net in the background so that they won’t ever get seriously hurt. If they feel excited and stimulated, they will try again… and again. My eldest, who is nearly 8 now, showed a great interest in preparing meals and cooking lunch and dinner. He’s been watching my wife and me since babyhood. When he was about three, he used a sharp knife (not one you are able to cut your fingers off with, but one that’s just sharp enough for cutting with – a bland one would be safest, sure, but equally useless and only frustrating) for cutting up an apple. Yes, he cut himself a few times, but that’s how he learnt, and nothing happened apart from some quickly dried tears and a cool plaster on a tiny wound. With four he cooked himself porridge on the hob for the first time. Yes, his first cooking session was guided and supervised by me, but I didn’t interfere. I just watched. Today his cooking repertoire includes pasta and tomato sauce, scrambled egg, various cakes and biscuits, and – hold your breath – sushi (ok, the sushi rolls can’t compete with a sushi bar, but it’s just a question of perspective and expectations. Expect a perfectly cooked and awesome looking meal? Do it yourself). It’s a great learning curve for us parents to lower expectations and to be more prepared for a giving-it-a-go mantra. And, yes, sometimes we get pushed out of our comfort zone as well. In our family it’s a bit of a tradition to make pancakes for Sunday breakfast. Often – I admit my sins – they go with chocolate spread. This morning we had run out of the sweet treat and no-one seemed to be willing to go down to the local shop (2-minute walk) to get more. Only my nearly 5-year-old volunteered. I hesitated as I wasn’t sure whether he would manage. I trusted him with finding his way to the shop and paying for the item, but I feared the road he would have to cross. My wife’s response was more clear. Yes, he’ll be fine. And off he went. But, I threw over my invisible cloak and sneaked after him to watch his adventure. He didn’t see me and I had a great time hiding behind bushes and trees. My main fear – the road – was quiet, he stopped, checked, checked again, and crossed. No problems. A woman stopped him (she was probably a little anxious… as me), but he carried on. At the shop I peeped through the window (gosh, if someone had observed me they must have thought I’m a little… well, crazy) to make sure he’s alright and the shopkeeper is not calling the police or social care. She didn’t. With a great smile she scanned his jar and gave him receipt and change. I stood there – watching and with tears in my eyes. My little son, so great and independent. He skipped all the way home. Just fifty metres behind him, I – his dad, full of love, joy and trust. At home we both hugged for a long time. And, of course, we enjoyed our chocolate pancakes! The confidence and self-esteem he gained from his independent venture was giving him a glowing buzz all day – he knows his parents trust his abilities. Next time your little one is climbing up high on the climbing frame or tree, just position yourself, discreetly, so that if they fall, you could catch them, and just observe. Neither encouraging nor anxious, just observing and trusting (your facial expression and body language can communicate that, too!) that when they are able to climb something unassisted they’ll know how to get down again by themselves. Soon enough, they have learnt to use their body well, trust themselves and know where their limits are. Trust your children and you’ll be amazed by what they are able to do by themselves and how their self-esteem grows each day! Categories: Parenting and Empathic Fathers | Tags: attachment parenting, authentic dad, empathy, fathers, gentle parenting, love and trust, peaceful parenting, Torsten Klaus, trust your child, unconditional parenting | Permalink.